In 2001, Luxury Bath of Raleigh opened in the Triangle area and little did we know the impact that we would have on families all across the state. Since then, we've completed Chapel Hill bathroom remodeling services for over a thousand households. From creating a walk-in tub for the elderly to a comprehensive overhaul of your master bath, you can rely on our remodeling pros to create the custom renovation solution for you. 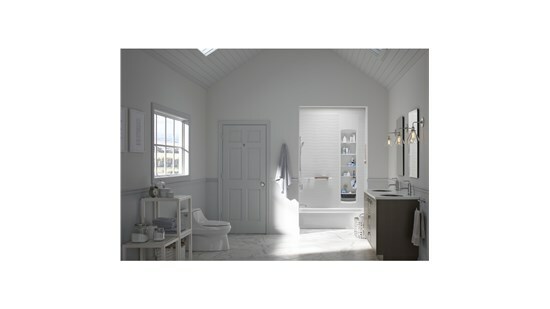 Our team of experts will work closely with your household to ensure that you get the dream bathroom you want that fits your needs and budget. When you choose to work with our seasoned remodeling experts with over 50 years of combined experience, you're getting a Chapel Hill bathroom remodel that is guaranteed for life. We're so confident in the quality of our products that we offer a lifetime warranty on all parts. We are also a member of the National Kitchen and Bath Association, which means that our talented remodelers stay apprised of the latest developments in the remodeling industry. For the highest-quality, custom bathroom remodeling services in Chapel Hill, look no further than Luxury Bath of Raleigh. If you're ready to get started with your upcoming Chapel Hill bathroom remodel, call us to schedule your free design consultation or fill out our online form to get your free, in-home estimate today!